This vintage floor lamp features a wood tripod and simple design. Owing to its unobtrusive materials, this lamp is suitable for many different interiors. 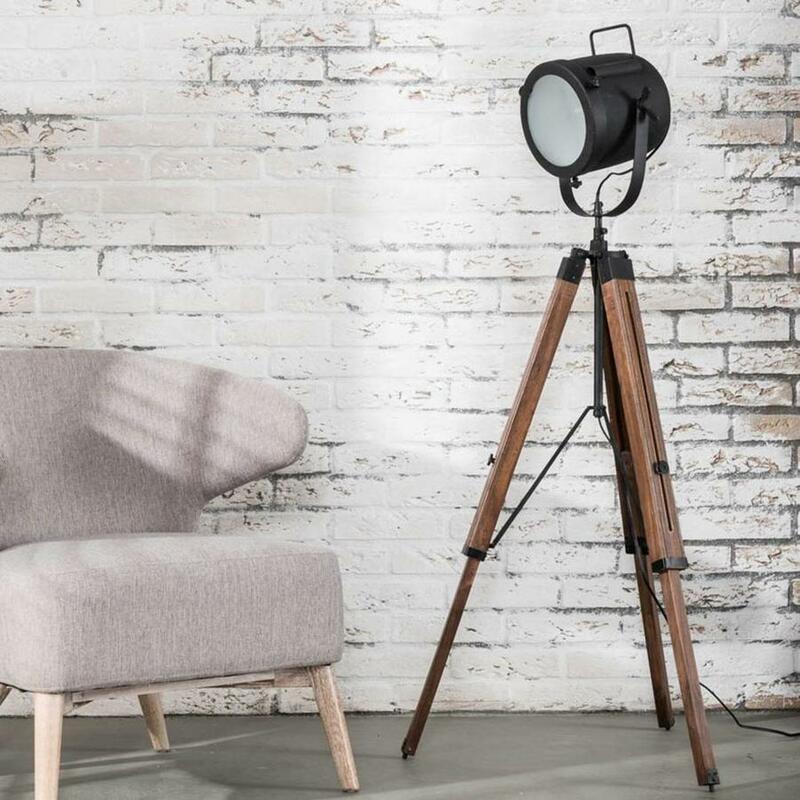 This floor lamp features a solid wood tripod. The cap, which is provided with reflective glass, is finished according to traditional methods with black, powder-coated metal. 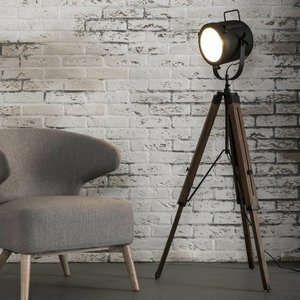 These materials ensure that this stylish floor lamp fits into many different interiors. Because the cap is adjustable up or down, it is a perfect lamp for reading and provides dark rooms with just the right kind of light. Was looking for a vintage tripod lamp on google when i stumbled upon this one, it looks amazing. Ordered the tripod lamp and 4 chairs on 02-02-2018, after searching the usual local furniture stores and not finding what we wanted. Arrived on time and with excellent delivery information and assistance. The table and chairs are very good quality, look terrific and were straightforward to assemble.